Distinct as the lines in our fingertips is each person or human being. One car driver may run away after hitting an innocent bystander in the street. Another would stop without a second thought to help. A student who hears about a Science quiz may react by spending the entire night poring over her notes. Another may not care to browse even a page of his books. Based on motley of factors (i.e. past experiences, beliefs), people react differently to the same situation. In the immigration world, such differences are accepted. Diversity in culture is celebrated. But in regulated professions, limits are set. So-called “governing councils” create policies and criteria to ensure that professionals do not go beyond thresholds. Truly, as a nurse, one cannot really predict what would happen in a day’s work. As a profession dealing with lives of people, relying on individual decisions alone, without guidance set by experts, could put lives at risk. There could be times when things run smoothly. (Oh we all hope for that kind of day.) But many times, circumstances could be action-packed. 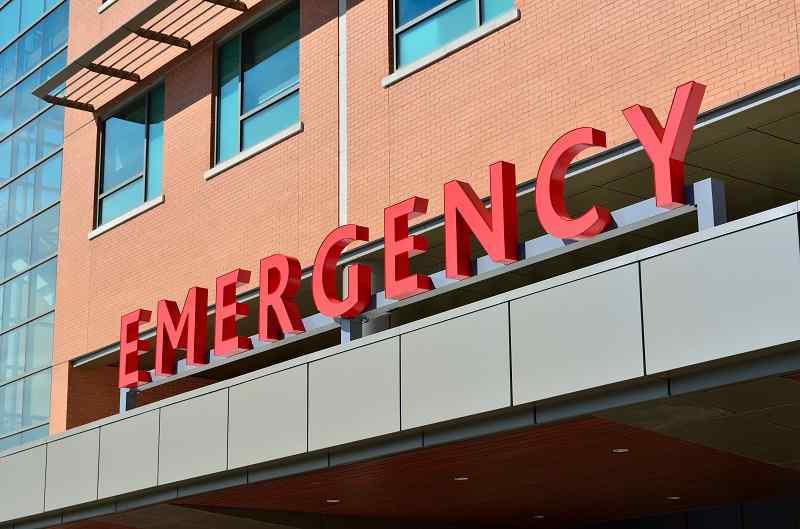 A seemingly stable patient could suddenly vomit, have blood pressures that plummet in minutes, refuse to take medications, hyperventilate, be angry and uncooperative just because… or even have a heart attack. What then makes for a prepared nurse? 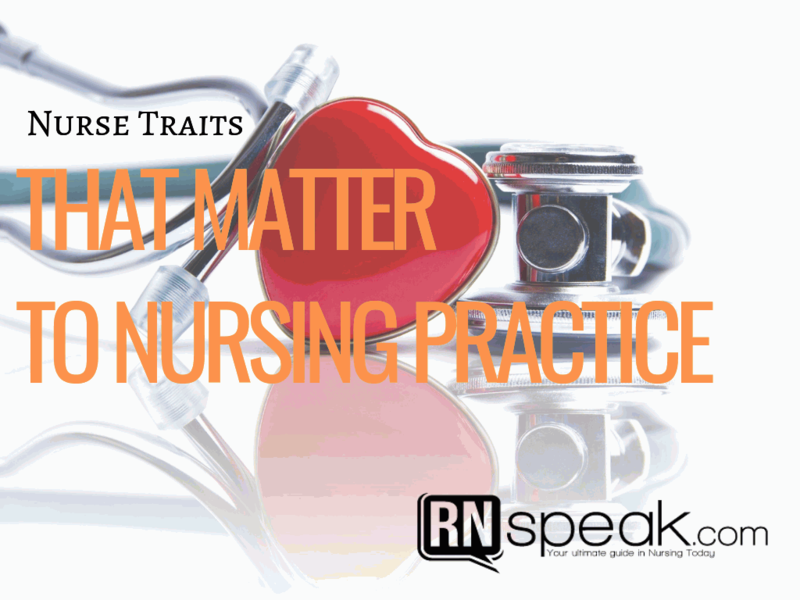 Aside from standards of practice that are considered as legal documents, there are also traits deemed by both theorists and practicing nurses as essential, vital or important in their day-to-day dealings in the workplace. I asked a staff nurse in a hospital in Singapore what trait/s she believes a nurse should have to be effective. Jennifer, R.N., a multi-disciplinary ward nurse knowingly answered: “patience and perseverance”. Another nurse, Greeg, R.N. agrees. Despite having faced the same medical cases in an Operating Room in the Philippines where he works, Greeg, R.N. thinks that every patient is unique. Or rather that every patient reacts differently even to the same medical condition. He substantiates this by sharing that while working in the Medical Isolation Ward of his previous workplace, he took care of patients diagnosed with Tuberculosis. Mr. Goody (not his real name) reacted to his medical illness by gradually halting his smoking habits and religiously taking his medications. Mr. Moody (not his real name) on the other hand kept on smoking whenever he had the chance. He even skipped medications when he didn’t feel like taking them. Greeg adds. His reason? “Patay kung patay.” (Translated as: “If I will die, then I will die”). Can you imagine turning a bed-bound patient twice your size every two hours for 8 hours straight? Compound to that the thought of doing this job alone when there’s help available but not offered? Jen strongly points to perseverance as a trait to live by as a nurse. April R.N. had worked in all kinds of wards both in a regional and provincial hospital in the Philippines for 3 years. For her, more than carrying out doctor’s orders, performing standard procedures such as feeding, bed bath, intravenous line check and vital signs, and doing other routine work, a nurse must work with empathy for her patients. How? “By communicating with them”, she says. “Being empathetic means understanding what the patient is going through. Often we don’t know what’s happening behind the physical if we don’t talk to them. And it matters a lot to some patients how a nurse handles them.” According to her, a nurse without empathy is like a “robot”. 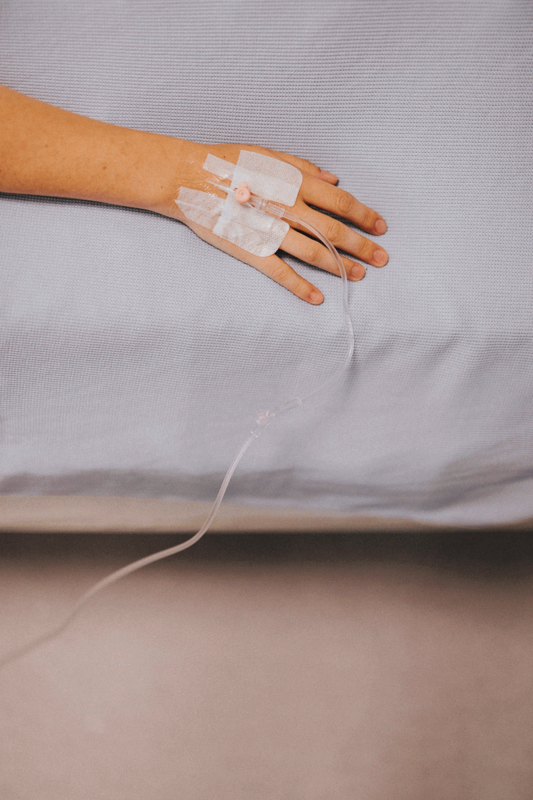 Imagine injecting 40 mEq/mL Potassium Chloride (KCl) directly to a patient’s vein (intravenous push) instead of as incorporation to a plain saline solution (PNSS) drip. Worst effect to the body? Heart attack and death. Psychology defines focus as the concentration and centering of our attention on a single stimulus. A nurse with focus knows that KCl cannot be administered via IV push. A nurse with focus reads meticulously doctor’s orders. And a nurse with focus does her best no to commit errors. My personal experience as a nurse has taught me that “focus” is one of the most vital traits a nurse must possess. A basic mistake could cost a patient his life and a nurse, her future. Nursing education is a strict and rigid process. From it, nurses learn more than just pathophysiology or anatomy. They are taught to think critically because situations at work require more than just knowledge. But sometimes nurses may get comfortable with their zone of practice and knowledge that after a few years in that sub-field of nursing, pursuing skills advancement may seem a bit of a stretch. But openness for new learning allows one to upgrade his/her practice and provide the best nursing care there is. Indeed every person is a mix and mingle of dozens of unique traits. As the cliché goes, “No two persons are alike.” Not even twins. And we all love differences. It makes for a colorful world and an exciting life. But for a profession that tackles “limbs and lives”, certain traits would prove helpful, even vital: Empathy, focus, mental alertness, patience and openness. Do you have them in you dear nurse? Pauline R.N., L.M.T is a graduate of Bachelor of Science in Nursing at West Visayas State University. She is vying to complete her Diploma in International Health at the University of the Philippines Open University. A nurse and licensed massage therapist with a heart for writing and community development work.